Mary wants her first Christmas with Cairn to be special, so in between practicing her magic, taking care of the farm and taking Cairn into her bed whenever possible, she’s making him a gift. 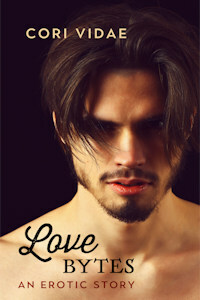 Cairn knows exactly what he wants to give Mary for Christmas, but providing it will require a huge personal sacrifice. He likes to make Mary smile but is that reward enough to make it worth the price he’ll have to pay? Steffie makes a date with someone on an internet dating site and he shows up at her bedroom window rather than her door. That is her first clue the evening is going to be… interesting but even she could never guess the strange turn it will take at the end. 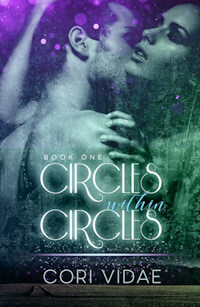 Circles Within Circles, (Prairie Magic #1) Pen and Kink Publishing. April 2017. Mary never believed the rumors about her mother being a witch, but when a mirror inexplicably connects her to her twin brother Michael, stationed half a world away on a WWI battlefield, she reconsiders. To protect him from a battle he has reason to believe will be his last, Mary sets out to uncover any magic left on her isolated farm. The incubus Cairn wakes from centuries of banishment to a cramped basement and a sensual, albeit surprised, woman. Perhaps she didn’t intend to summon him, but since she did, perhaps he could help… for a price. 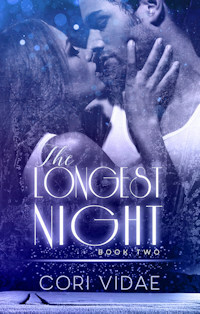 “Not even if you were the last men on Earth!” Liv shouted the last time she’d seen Jacob and Liam, but now the world really has come to an end and she doesn’t have anywhere else to turn. Cairn wakes from centuries of banishment to a cramped basement and a sensual, albeit surprised, woman. Perhaps she didn’t intend to summon him, but since she did, perhaps he could help… for a price. 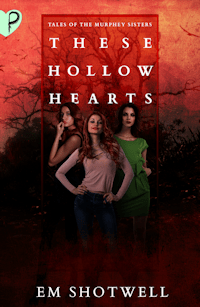 These Hollow Hearts by Em Shotwell. Pen and Kink Publishing. March 2019. 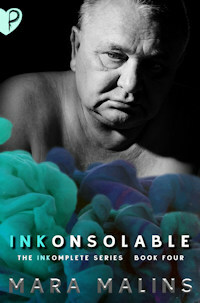 INKonsolable by Mara Malins. Pen and Kink Publishing. INKomplete. November 2018. 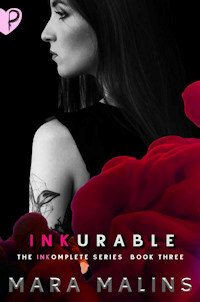 INKurable by Mara Malins. Pen and Kink Publishing. INKomplete. November 2018. 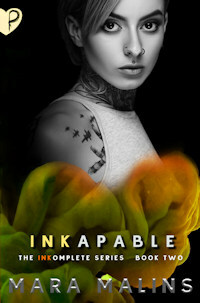 INKapable by Mara Malins. Pen and Kink Publishing. INKomplete. November 2018. INKarnate by Mara Malins. Pen and Kink Publishing. INKomplete. August 2018. Magic Flame by Sara Dobie Bauer, Em Shotwell and Wendy Sparrow. Pen and Kink Publishing. Enchanted. April 2018. Magic Ember by Sara Dobie Bauer, Em Shotwell and Wendy Sparrow. Pen and Kink Publishing. Enchanted. February 2018. Magic Spark by Sara Dobie Bauer, Em Shotwell and Wendy Sparrow. Pen and Kink Publishing. Enchanted. January 2018.
kINKED edited by Cori Vidae. Pen and Kink Publishing. P&K Anthologies. April 2016. Servants of Fate (boxed set) by Wendy Sparrow. Pen and Kink Publishing. Servants of Fate. December 2016. Keeping Time by Wendy Sparrow. Pen and Kink Publishing. Servants of Fate. November 2016. Taking Time by Wendy Sparrow. Pen and Kink Publishing. Servants of Fate. November 2016.